Unlike humans, Cecil the Cephalopod isn’t limited in the limb department. That’s given him a distinct advantage in his quest to visit as many of our Best of Santa Barbara® Readers’ Poll awardees as possible, which is what this eight-armed hombre has been doing since crawling out of the Pacific Ocean a couple of weeks ago. The poll of nominees went live in August, and, in another technological leap, we hosted all voting on independent.com. That’s right: no more paper ballots, which made the process much more efficient, fair, and eco-groovy. The results were staggering: 12,779 voters, from 13 to 100 years old, cast nearly 420,000 votes in 201 categories. 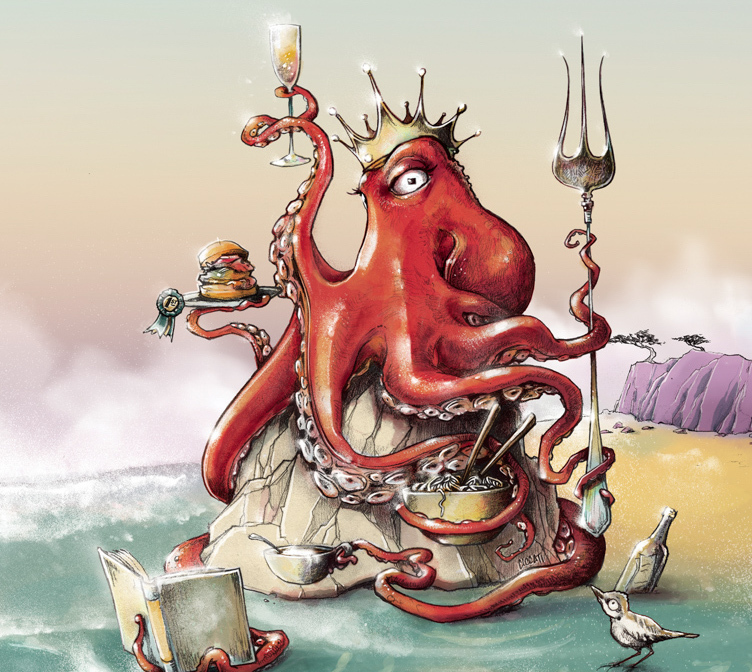 So, with that breadth and with Cecil the Cephalopod’s support, we are confident in presenting the results of 2018’s Best of Santa Barbara® Readers’ Poll. Eating: Fancy dishes, big burgers, and taco triumphs can all be found in this best dining round-up. Drinking: Who’s got the stiffest drinks and best red wine? All that and more in the best beverage category. Out & About: Music, movies, bowling, theater, billiards — find the best things to do outside of work. Looking Good: Dressing up or just need new kicks? Here are the best spots for your feet, face, and more. Romance: Beauty and the beaches — find the most romantic places to take a first date, get married, or celebrate an anniversary. Housing: From gardening to house decorating to buying a home, the housing category has answers to all of your questions. Driving: Cars, motorcycles, and more — here are the best places to get your automobile fixes. Sporting Life: From martial arts studios to surf shops, here are the best places for keeping active. Little Creatures: For all your kids’ and pets’ needs, check out the best toy stores, day care, pet shops, and doggie camps in town. Living Well: Find the best places to indulge in life outside of work — from cameras to books to music to computer repair, and all things in between. Media: From columnists to websites, here’s the best way to stay in touch with the world around us.